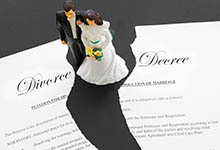 Divorce can be an extremely stressful and overwhelming time under the best of circumstances. Even when a couple in the midst of a split agree on many of the issues or decisions that need to be made to dissolve a marriage, the process is still complicated and expert legal guidance is needed. A skilled from the law firm of George C. Malonis can help you navigate the divorce process and ensure your rights are protected during and after the dissolution of a marriage. While each Massachusetts divorce case is as unique as the two people involved, there are set standards and protections for those seeking divorce. Massachusetts is an equitable distribution state. This means there is to be an equal split pertaining to property division and marital assets. However, there can always be disagreements as to what constitutes a marital asset. With George C. Malonis on your side, your assets will be protected and your stake in marital assets will also be secured. We can secure the services of experts, such as forensic accountants, who will work diligently to ensure every dollar, bank account and item is accounted for and fully disclosed. If one partner has not been fully informed or involved in the finances or investments during the marriage, these services may be a necessity when it comes to ensuring an equitable split. Alimony may also be a vital part of the divorce process. Without expert negotiating or litigating skills, you may agree to a settlement or alimony amount that is far less than you deserve. Or, you could end up paying more than you should have to under the circumstances. As a marriage ends, settlement issues, such as alimony and child support, may require further legal advice and intervention. The law firm of George C. Malonis will be there to guide you and help you handle any continuing or evolving divorce issues such as alimony or child support. Those seeking to pursue divorce in Massachusetts should also be aware of the residency requirement. Currently, one spouse must live in Massachusetts for a year before divorce can be filed. The law office of George C. Malonis strives to always stay up to date on any and all laws and requirements that pertain to divorce. We can give you the most comprehensive and timely advice and guidance and inform you of any changes that may affect your particular situation. While you may have to attend to other aspects of your life that will ultimately be altered by a divorce, the law firm of George C. Malonis can focus on the legal issues at hand and ensure your rights, assets, and future are protected. Contact divorce attorney here. Free Consultation. 978-453-4500.